Same price for any PSU brand and model. Simply state your PSU model when adding the item in cart, and we'll build it accordingly for you! Click the button below to add the Be Quiet! 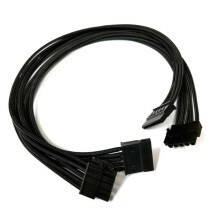 Dark Power Pro 11 5-Pin to SATA Single Sleeved Modular Cable to your wish list.